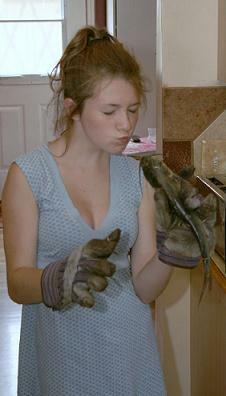 Check out the following gallery of these awesome pictures of catfish! These are just a few cool whiskerfish flicks to help get you motivated for going back out on the water for some freshwater fishing fun. 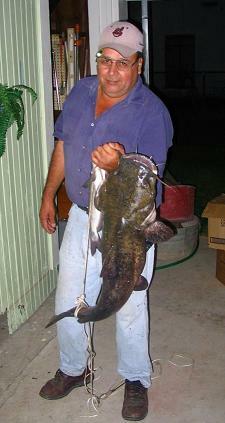 When your done looking at these pics, you can head over to our catfish pictures page and upload your own memorable photos of your catch, and share your story about your catfishing adventure. More info about that just down below following these proud pics. Click on any of the photos below to open up the gallery mode, if you prefer. 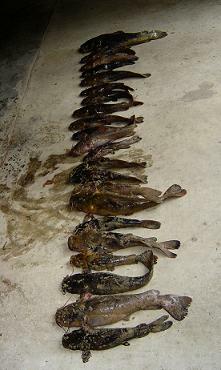 Catfish lined up on the table waiting to be butchered, I mean filleted. 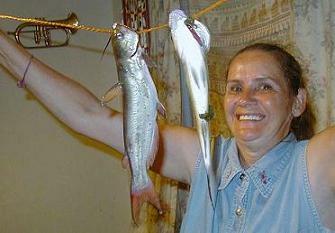 A Catfish and Largemouth Bass which was steamed with Dijon mustard. 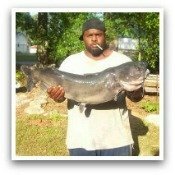 Do you have any sweet photos of catfish? Give us your best shot! 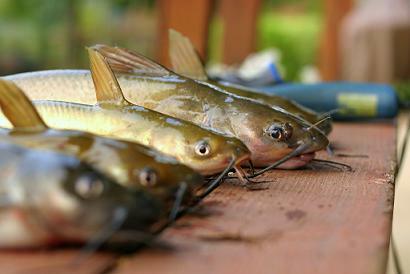 Send them in to us using the form on our catfish pictures page, which can be found by following the link directly below. 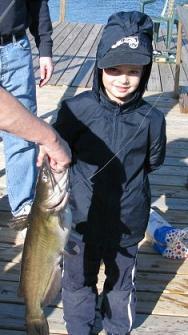 Or go to our fishing pictures page if you have other pictures of freshwater fishing or even saltwater fish.